A map showing the boundaries of the Colorado River District, and its 15 member counties. 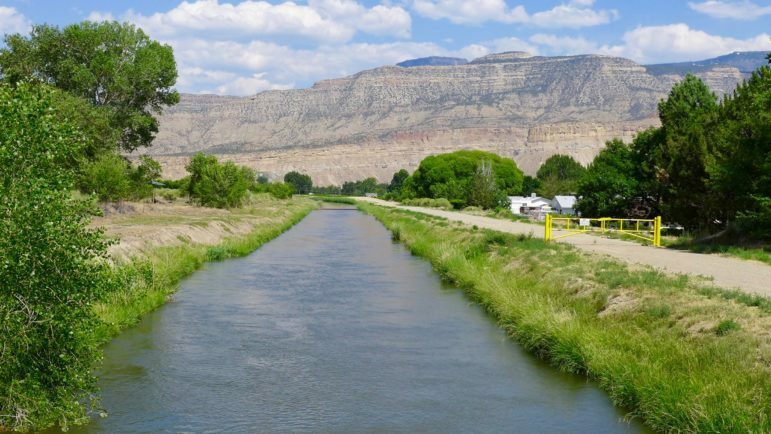 GRAND JUNCTION – The Colorado River District says it stands behind the recent hiring of Zane Kessler as communications director, despite concerns from some of the more-conservative counties in the district about his past political activities regarding oil and gas leases in the Thompson Divide area. Scott McInnis, a Mesa County commissioner and Glenwood Springs native, represented the Western Slope and Colorado’s 3rd District as a Republican in Congress from 1993-2005. 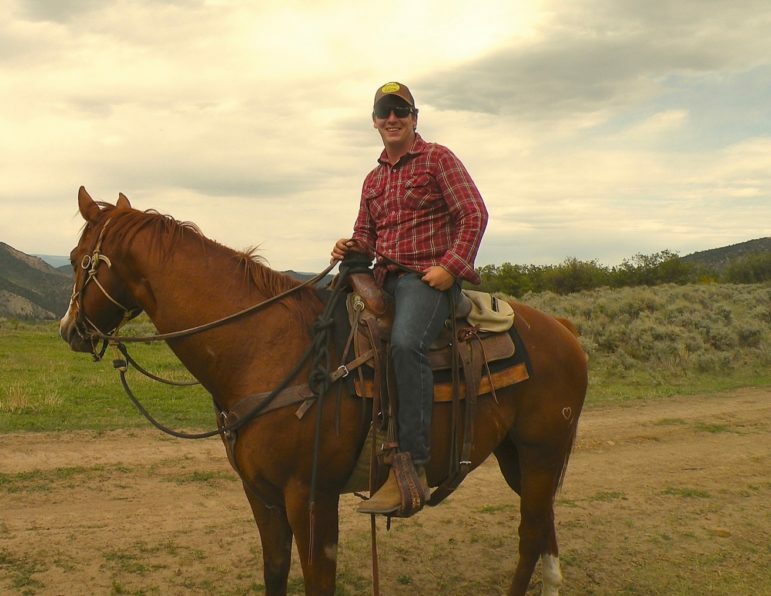 He said at a special river district meeting in Grand Junction last week that he wants to ensure Kessler is “riding for the River District brand,” and not that of his former employer, the Thompson Divide Coalition. Kessler was executive director for the TDC from 2012 until earlier this year when he took the communications job as part of the river district’s external affairs team. In his previous role, Kessler championed the TDC’s efforts to either buy out leaseholders or have the Bureau of Land Management cancel several oil and gas leases in the Thompson Divide area west of Carbondale. Late last year, the BLM, following an extensive review, did in fact cancel 25 undeveloped leases in the divide. Most of the canceled leases were on lands within Garfield and Pitkin counties, but three leases were partially in Mesa County, covering about 3,800 acres. A broader BLM review of 65 leases in the region resulted in other leases outside the Thompson Divide in Mesa County near De Beque being modified with new restrictions. Other leases were reaffirmed in full. In addition to lobbying for the leases to be canceled, the coalition also advocated for the White River National Forest to close off the Thompson Divide area to new leasing as part of its 20-year oil and gas leasing management plan approved in 2014. McInnis said the efforts by the Thompson Divide Coalition lead to restrictions on oil and gas development throughout the whole White River National Forest. A special Colorado River District meeting underway on Dec. 6, 2017, in a ballroom at Colorado Mesa University in Grand Junction. The meeting was sparked by opposition from some of the 15-member counties in the river district to the hiring of Zane Kessler as its new communications director and lobbyist. At the Dec. 6 meeting, McInnis and a posse of other county commissioners from Mesa, Moffatt, Rio Blanco, and Hinsdale counties, called Kessler’s allegiances into question. McInnis then called Stroud to confirm that the quote was accurate, and Stroud assured him it was, according to both Stroud and McInnis. McInnis said at the Dec. 6 meeting that Mesa County had “deep differences” with the TDC. And he said he’s worried that the coalition might next turn its attention to the Colorado River and that he was upset no one had called Mesa County to ask about Kessler. Kessler started as communications director for the River District on Sept. 5. He reports to Chris Treese, the district’s external affairs manager. Like Treese, Kessler is a registered lobbyist for the river district, which was formed in 1937 to protect and develop Western Slope water interests. 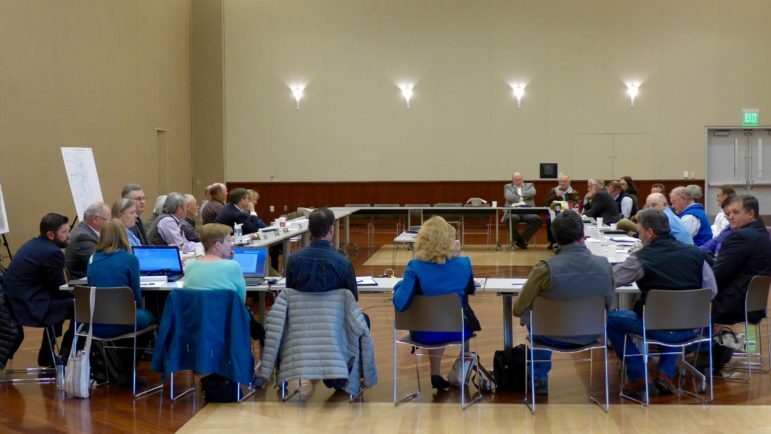 The district’s board is made up of representatives from 15 Western Slope counties, appointed by the commissioners in the member counties for three-year terms. Member counties include Delta, Eagle, Garfield, Grand, Gunnison, Hinsdale, Mesa, Moffat, Montrose, Ouray, Pitkin, Rio Blanco, Routt, Saguache, and Summit counties. Zane Kessler, on one of the trips he made on horseback through the Thompson Divide area. Kessler grew up in Oklahoma and spent time on a family member’s ranch in east Texas. Outgoing Colorado River District General Manager Eric Kuhn, who is in the process of handing duties over to new GM, Andy Mueller, assured McInnis and the others that he was comfortable with the hiring process and the ultimate decision to hire Kessler. Kuhn acknowledged in a Sept. 8 memo to river district board members that he had received a call from a “very concerned county commissioner” about the Kessler hiring, in apparent reference to McInnis, who later said he called both Kuhn and Treese. “Both Chris [Treese] and I have confirmed that Zane has severed his ties with Thompson Divide and works exclusively for the River District under Chris,” Kuhn wrote in that memo. He said the district received 25 applications for the position. Eight candidates were interviewed by a committee of five district employees, and Kessler was the unanimous choice, he said in the memo. “This has nothing to do with partisan politics,” McInnis said in a phone interview after the meeting last week. “I don’t care whether he is a Democrat, a Republican, unaffiliated. I care about who he led. He was the four-star general for the Thompson Divide, and we had a rough history with them, coming into Mesa County, uninvited,” McInnis said. Kessler, in a Sept. 12 letter to the editor of the Post Independent sought to assure his critics. According to Thomas Divide Coalition board member Chuck Ogilby, the coalition is in a quiet mode, and there are no plans to expand their mission beyond preserving the Thompson Divide area. One of several large irrigation canals in Mesa County that divert water from the Colorado River. The same day that Kessler’s letter appeared, on Sept. 12, McInnis and fellow Mesa County Commissioner Rose Pugliese sent a letter to about 50 people, including all of the river district’s board members, according to McInnis. 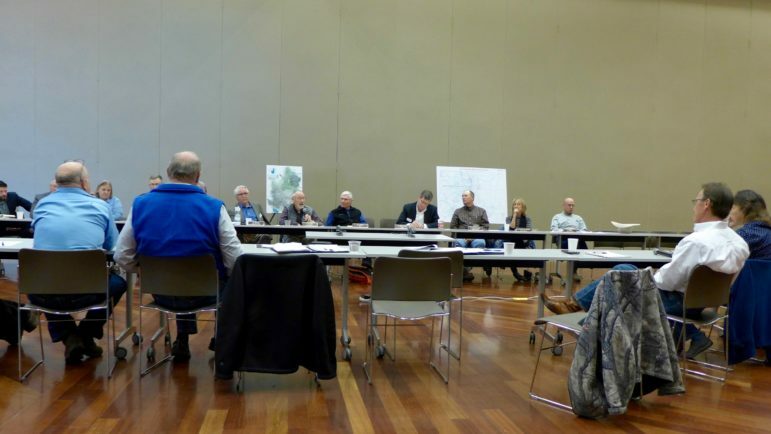 During the ensuing weeks, letters critical of the hiring decision were also sent from commissioners in Moffat, Rio Blanco and Hinsdale counties. He also noted that the river district’s two attorneys once both worked for Front Range water interests, and that had not kept them from loyally serving the district. But the issue did not die down. In fact, it morphed to include other concerns about the river district. On Nov. 9, Kuhn sent a memo to the board informing them that Mesa Commissioner Pugliese was asking about the size of the district’s staff of 25 people, their salaries and benefits, and the district’s offices. “I have to share with you that, to me, the most troubling implication of these questions and this controversy is the suggestion that the River District Board is not properly executing its fiduciary responsibilities,” Kuhn told his board. On Nov. 13, the three Mesa County commissioners sent a letter to Tom Alvey, the president of the river district board, assuring him it was not a political issue and that they thought the river district staff was now using the suggestion of a “political litmus test” to “spin” the situation and “avoid answering the legitimate inquiries” made by Mesa County. Then, on Nov. 22, Pugliese raised the issue of whether Mesa County should even stay in the river district. “I am still trying to determine if it is beneficial for Mesa County to stay in the River District, and if staff is really representing the interests of our Mesa County constituents,” she wrote. All that led to the Dec. 6 special meeting in Grand Junction, where McInnis reiterated his concerns to river district board members and staff, including incoming GM Mueller. “If we don’t have the toughest, smartest, shrewdest voice in that state capitol, we are going to find an internal rift, and we’re going to find we’re losing a lot of ground,” McInnis said. Mueller responded by saying he took McInnis’ comments to heart. 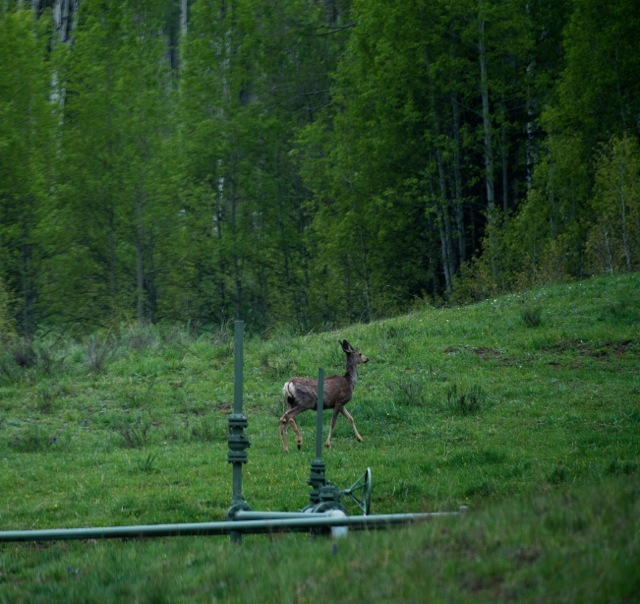 A mule deer browses near one of the Willsource Enterprise wells in the headwaters area of West Divide Creek, in the Mesa County corner of the Thompson Divide. Kessler did get some support at the meeting from other constituent county commissioners. Rachel Richards of Pitkin County said she considered it “a vendetta meeting,” warned the other commissioners about “wrongful interference” with the district’s employment practices, and said the success of the coalition’s efforts went beyond Kessler. Even McInnis said during the post-meeting phone interview that he had respect for Kessler’s professional abilities and the job he did for the Thompson Divide Coalition. He also said he was satisfied with the outcome of the special meeting. “The river district is going to take a close look at their personnel policies in January, and if they need tightening up, tighten them up,” McInnis said. Mesa County Commissioner Scott McInnis, in white shirt, talking with officials from the Colorado River District at a meeting in Grand Junction on Dec. 6, 2017. 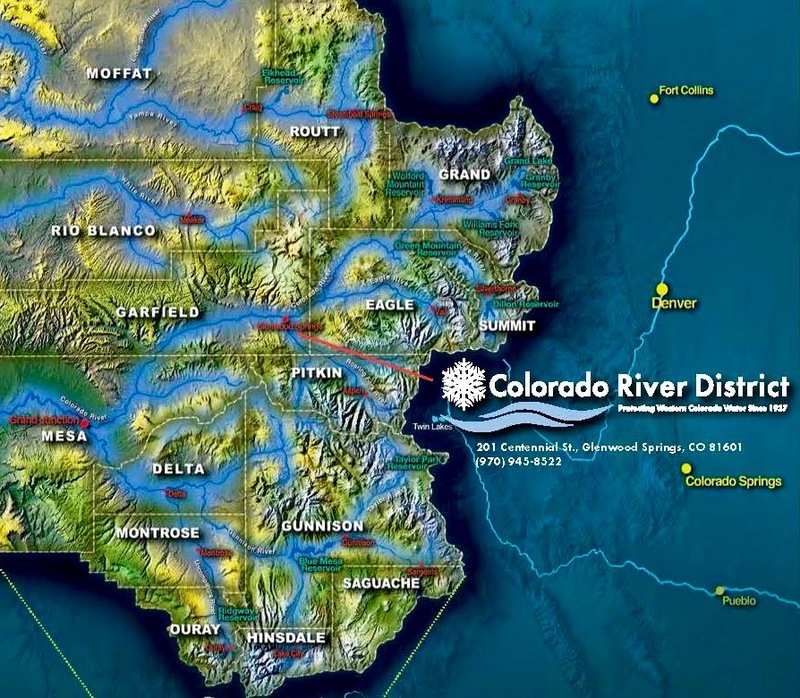 Below are links to public documents provided by the Colorado River District in response to requests from Aspen Journalism. The documents are listed by date. (Note: “CRWCD” is short for Colorado River Water Conservation District, the organization’s full name). 5.1.17: CRWCD posts a job description for the new position of communications director. 9.5.17: Zane Kessler starts his new job as communications director at CRWCD. 9.8.17: memo from Kuhn at CRWCD to board on the hiring of Kessler. 9.12.17: letter to editor from Zane Kessler, published in GSPI. 9.12.17: letter from Mesa County to CRWCD board members and others. 9.13/14.17: CRWCD meeting minutes from meeting GJ w/ Kessler in attendance and Kuhn discussing hire practices. 9.19.17 CRWCD names Andy Mueller as next GM. 9.25.17: letter from Rio Blanco County to CRWCD re Kessler. 9.27.17: letter from Hinsdale County to CRWCD re Kessler. 10.3.17: letter from CRWCD to Rio Blanco BOCC re Kessler. 10.10.17: letter from White River and Douglas Creek districts to CRWCD. 10.17.17: letter from Moffat County to CRWCD re Kessler. 11.6.17: letter from CRWCD board president to county commissioners. 11.9.17: Kuhn sends a memo to CRWCD board on “budget issues” raised by Commissioner Pugliese. 11.10.17: letter from CRWCD to Rose Pugliese from CRWCD. 11.13.17: letter from Mesa County to CRWCD board. 11.15.17: various emails sent to CRWCD on pending 12.6.17 meeting. 11.22/24.17: emails sent from various county commissioners on upcoming CRWCD meeting. 12.6.17: CRWCD district meeting attendance sheet. Editor’s note: Aspen Journalism is collaborating on the coverage of rivers and water with the Glenwood Springs Post Independent, The Aspen Times, the Vail Daily, and the Summit Daily News. The Post Independent published a version of this story on Tuesday, Dec. 12, 2017.